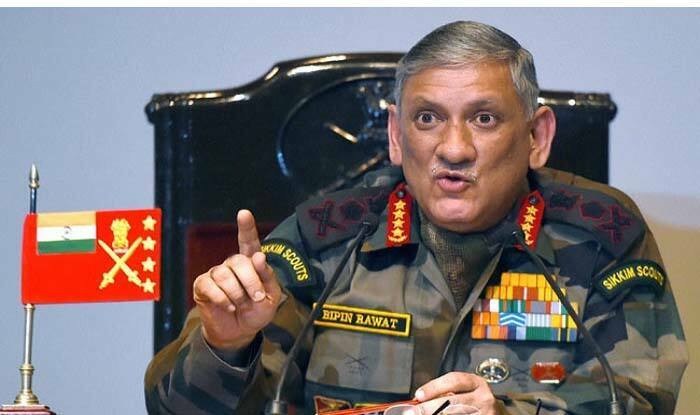 New Delhi: Army chief Gen Bipin Rawat on Tuesday warned Pakistan that India will not hesitate in carrying out strong action against inimical moves, asserting that its forces were giving enemies along the Line of Control a “befitting reply” and inflicting heavy losses. Gen Rawat also said India’s neighbour on the western border continues to support terrorism. “Our forces are giving a befitting reply to our enemies along the Line of Control. They are suffering heavy losses. I am warning our enemy (across the LoC) that we will not hesitate in carrying out strong action against any inimical action,” he said while addressing Army personnel on the occasion of Army Day here. “We are ensuring moral dominance along the border in Jammu and Kashmir,” he said. “We do not want that people in J&K are disturbed. Our neighbouring country has a hand in these activities. Terrorists are being trained and given arms by our neighbouring country, which is being termed state-sponsored terrorism globally,” the Army chief said in an obvious reference to Pakistan. “Efforts are on to maintain peace and tranquillity along the (eastern) border. But we will keep reviewing the situation. Our soldiers will not allow any compromise in guarding the border in the eastern sector,” Gen Rawat said, adding that the orders given by the government will be strictly followed. “We will achieve decisive victory along with the Navy and the Air Force in case of a war,” he said. “The security challenge facing the country will become more complex in the coming years. We will have to keep enhancing our combat prowess so that we can defeat our adversaries. I assure that we will keep the trust reposed on us by the people of the country,” the Army chief said.